A dental bridge is used to hold restorations such as dental crowns in the space left by missing teeth. With this option, Hayward dentist Dr. Gary Fong can restore much of the strength and function lost when teeth are missing. Equally important, a dental bridge can prevent adjacent teeth from slipping out of place, helping preserve bite tension while restoring a full look to the teeth and improving the overall appearance of your smile. If you are missing one or more teeth and would like to learn about your options, please contact Gary G. Fong, DDS online or by calling our Hayward office at 510-582-8727 today. The type of dental bridge best suited to meet your needs can be determined during your general dentistry consultation at our conveniently located Bay Area office. Dental bridges can offer a lasting solution for tooth replacement, but cannot prevent the loss of bone caused by a missing tooth’s root. To address bone loss, dental implants are necessary. However, dental implants are neither attractive nor suitable for every patient. Dental bridges are a wonderful alternative to implants and one that can restore strength and beauty for years to come. To learn more about dental bridges, please contact our experienced Hayward dentist today. 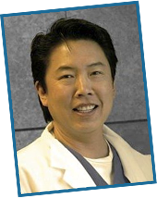 Dr. Fong welcomes patients living throughout the Castro Valley area.